Hydrocolloid dressing to encourage a moist environment to prevent blister formation. 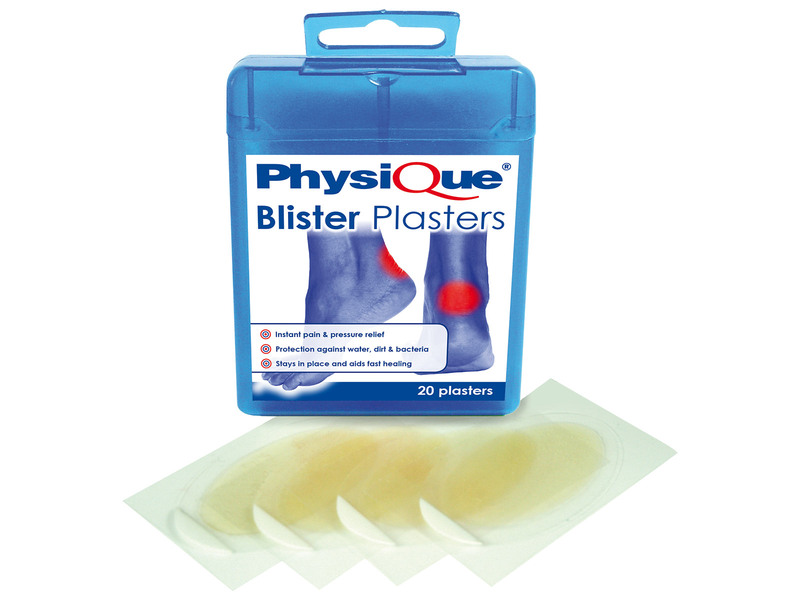 Highly adhesive outer clear film ensures maximum adhesion holding the plaster firmly in place for 12 hours. Repels dirt, water and bacteria. Pack of 20 individual dressings.